We offer every Monday in Summer a chance to try Young Master’s Momo Wit for ONLY $25 each. Starting at 6 – 8pm for 2 hours only. 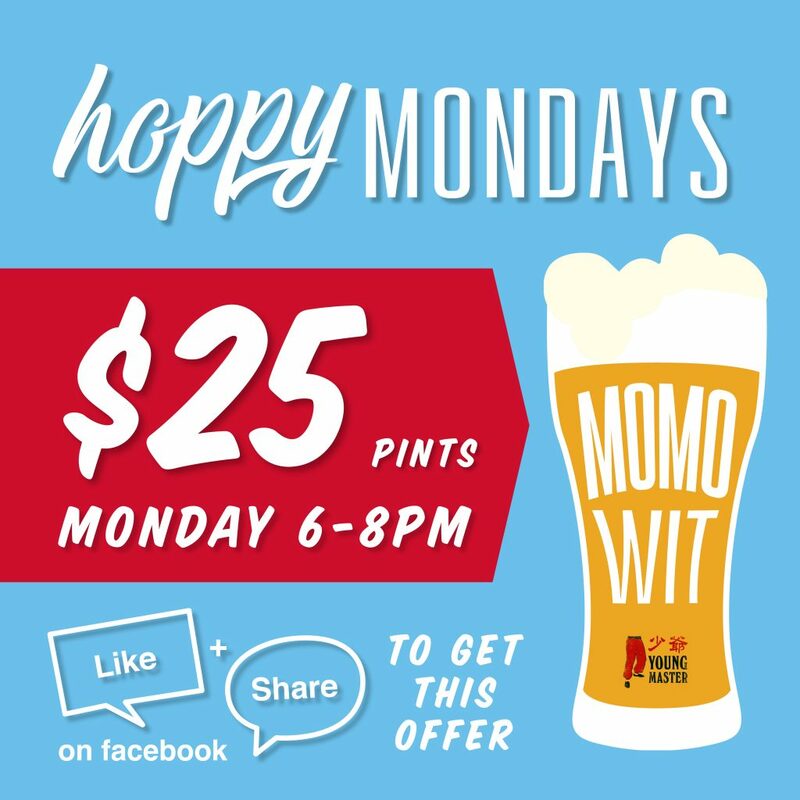 Join our community on facebook to see last minute craft beer specials throughout Summer. This long weekend we will be serving long weekend brunch from 10am – 4pm. Enjoy a summer Californian brunch menu with over 30 + items to choose from. If you’re in for dinner choose 10 dishes at $320 per person including Summer Salad, Jalapeno Poppers, Baja Tacos and Memphis Pork Ribs.